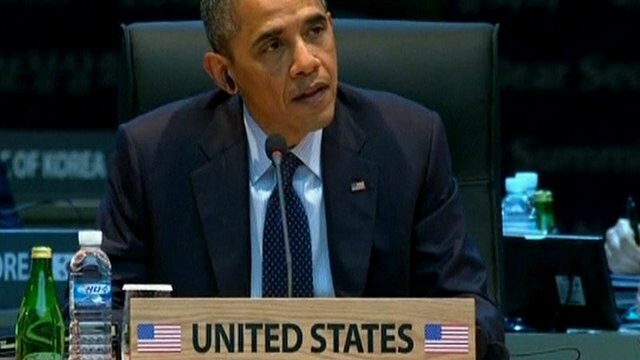 Obama on nuclear terrorism 'threat' Jump to media player US President Barack Obama has reiterated his warning that nuclear terrorism remains a global threat. 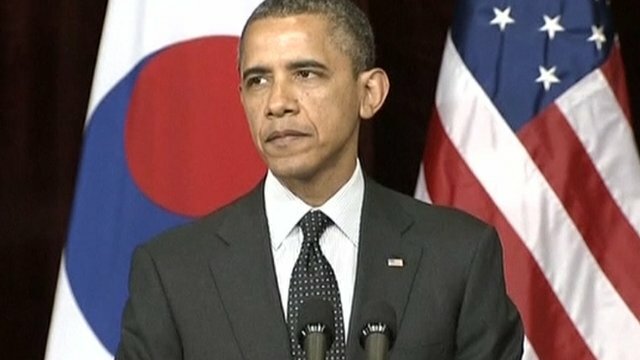 Obama's nuclear appeal to N Korea Jump to media player US President Barack Obama says he is pushing for "a world without nuclear weapons", and has made a direct appeal to North Korea. US President Barack Obama has reiterated his warning that nuclear terrorism remains a global threat. He was speaking at the nuclear security summit in South Korea. Mr Obama said the US had fulfilled its commitment to remove or destroy vulnerable nuclear material from existing plants, but more needed to be done.